PAL-C Meets Congressmen on the First Day of the 110th Congress. Washington, DC: Members of the Pakistani American Leadership Center (PAL-C) met several US Congressmen to congratulate them and also held discussions of mutual interests about Pakistan, US- Pakistan relations and the role of the thriving Pakistani-American community. Some of the Congressmen also discussed issues such as bilateral trade between Pakistan and the USA, improving and modernizing education in Pakistan, and defense cooperation between the two allies. PAL-C informed the members of the Congress about its mission, its strength, its future goals and its efforts already underway. PAL-C also discussed its desire to place talented Pakistani American students and young professionals as interns and staff members in respected offices on Capitol Hill. Finally, members of PAL-C urged the Congressmen to remain committed to the Congressional Pakistan Caucus and in the case of new members of Congress, urged them to become members of the Caucus. PAL-C was represented by Executive Director Mr. Ali Chaudhry and National Director Mr. Mossadaq Chughtai. 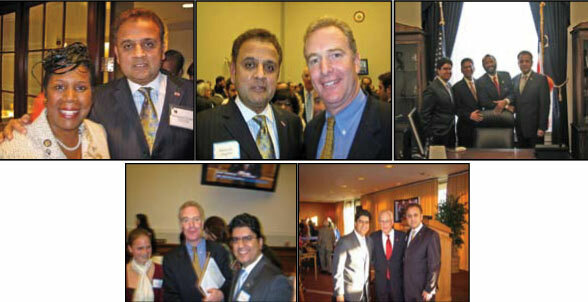 All in all, PAL-C established a working relationship with new members of Congress and re-invigorated ties with committed members of the Pakistan Caucus. The Pakistani American Leadership Center vows to continue working with the US Congress and the Pakistani American community to facilitate communication between them. “As we enter 2007, PAL-C remains committed to empowering, educating and mobilizing the Pakistani Americans community to take a more active role in the American political arena,” says a PAL-C press release.